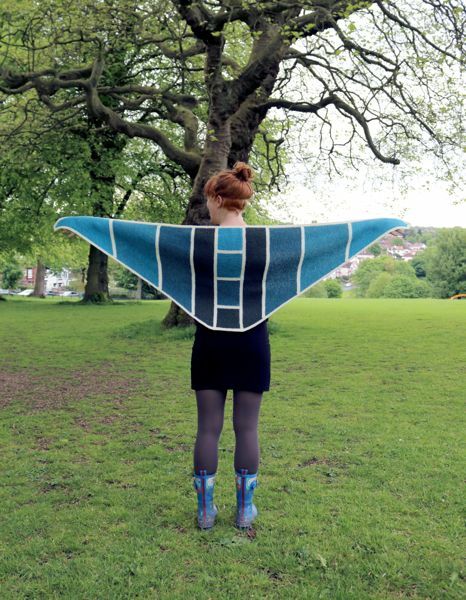 firstly, to create designs for those oh-so-beautiful yet tricky-to-knit-with hand-dyed skeins that we all get seduced by; and secondly to support indie dyers. Indie dyers offer such vibrancy and uniqueness and I really wanted to let their yarns take centre stage and put together a collection with their yarns at the core. Each of the 10 designs in the book feature garter stitch elements. 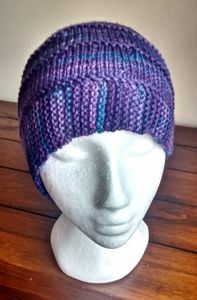 It’s a stitch pattern that really seems to work well with variegated yarns and helps to showcase their multi-colours. Woolly’s patterns also include a range of techniques to keep things interesting; she’s isn’t called the ‘Hat Architect’ for nothing. Any specific techniques used in the patterns are fully explained at the start of the book, with written and illustrated instructions. I found the short row tutorial particularly helpful. I chose the Quoin pattern to knit as a sample for my new Sethera Aran (100% British BFL) for Yarndale. I knitted three hats over two days of holiday, of which Quoin was one. 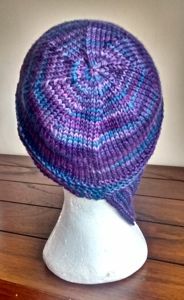 So, even though there is an interesting construction to this hat, it was still a quick knit. It used just under half of one 100g skein. 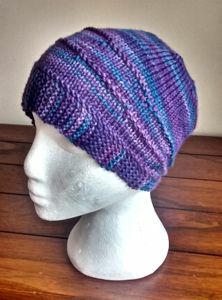 The asymmetrical garter stitch brim is knitted first, back and forth, starting with just 2 stitches and increasing every few rows until you have a long wedge shape. Stitches along the edge of the wedge are then picked up to knit the rest of the hat in the round. You can better see the asymmetrical nature of the brim in the photo below. 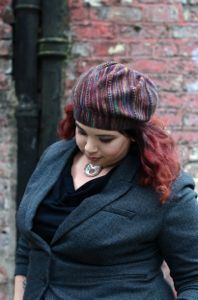 The main body of the hat is then augmented with short rows and garter stitch rows to further shape the hat. The pattern instructions were clear, concise and well written. Each pattern has multiple sizes. 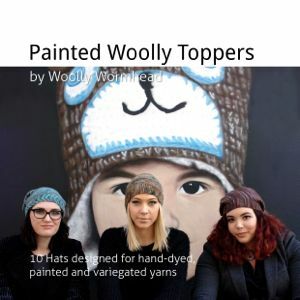 Painted Woolly Toppers is available as an eBook for £10, as a PDF & printed option for $25 or each pattern can be purchased individually for £3.50. For full details visit Woolly Wormhead’s website. 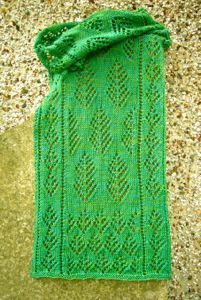 This entry was posted in Uncategorized and tagged Book reviews, Hand dyed yarn on Saturday 5th December 2015 by sylvantiger.